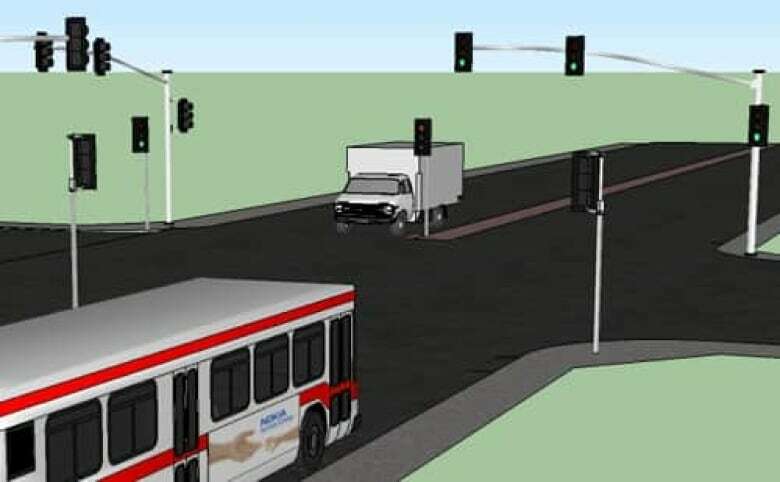 How did a truck crash into an idle TTC bus? 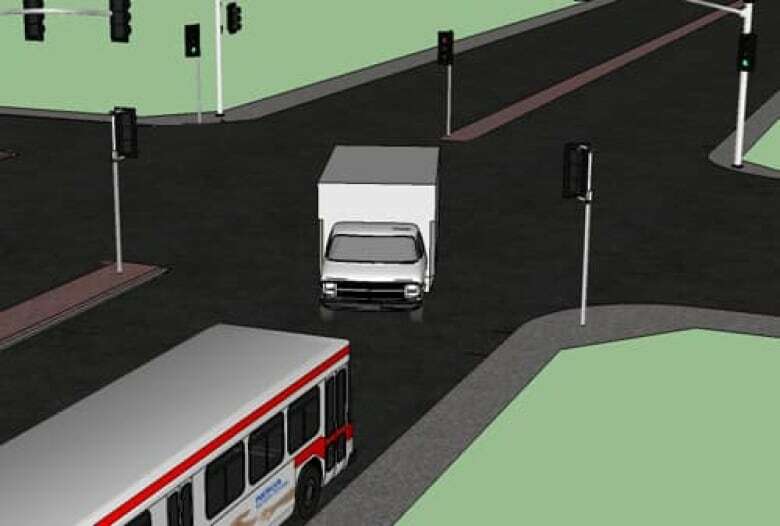 Based on witness and police statements, the CBC's graphic reconstruction depicts the fatal crash in northeast Toronto involving a cube van and an idle TTC bus. The tangled wreckage left from a fatal collision involving a commercial van and an idle TTC bus on Tuesday is a confusing sight. 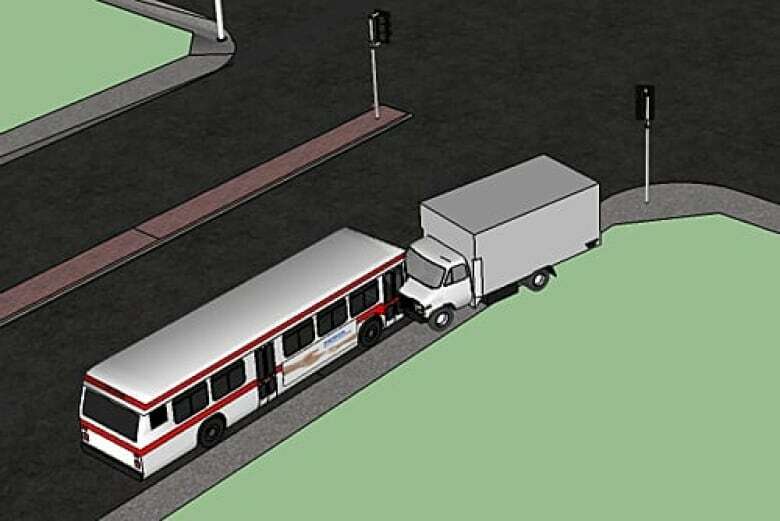 How did the truck end up on the right side of a bus, which was already stopped on the right side of the street? Using eyewitness and police statements, CBC reviews what is known so far about the events of the crash in the following diagrams. A cube van travelling eastbound on Steeles Avenue crossed the lane divider into westbound traffic at the street lights at Middlefield Road. The driver lost control and veered toward the right side of an idling TTC bus. The van ended up between a TTC bus shelter and the bus, hitting the bus on the right side and continuing into a hydro pole. The pole was severed from the ground, and the shelter appeared undamaged. A woman boarding the bus at the front was struck and killed. Another woman, who had exited at the right rear door of the bus, was also struck. She is in hospital with life-threatening injuries. Witnesses reported the truck travelling at a high speed and that the driver was on a mobile phone during the collision. Police have not confirmed either report.